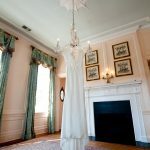 Curl up with a steaming cup of Joe and a cozy blanket and take a (virtual) trip with us down memory lane. 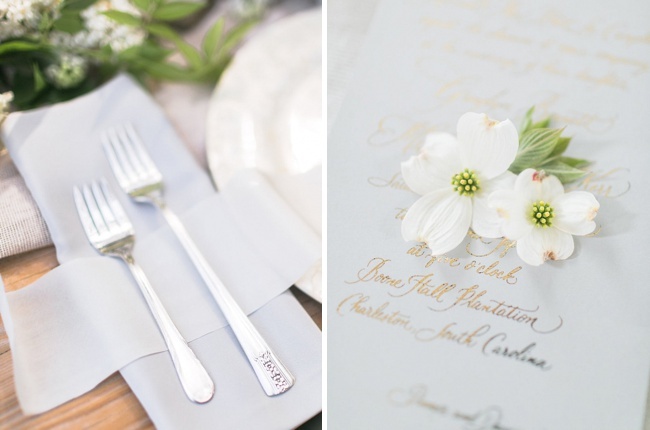 Over the following few weeks, we’ll be peppering in some of our favorite fêtes featured in our sister title, Charleston Weddings, in 2016—each of which is rife with inspiration and well worth revisiting. 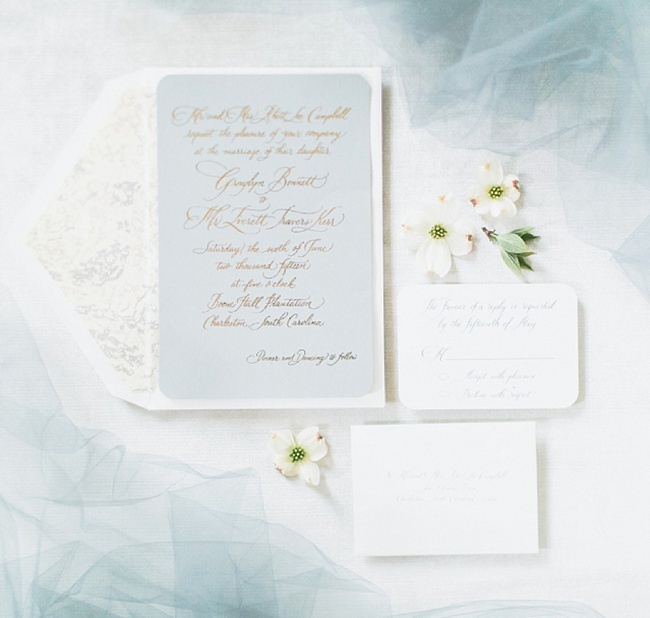 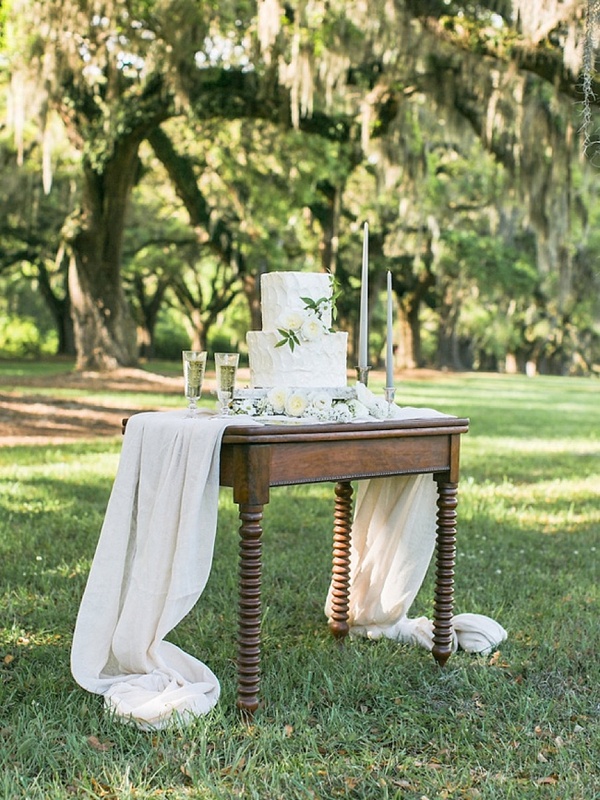 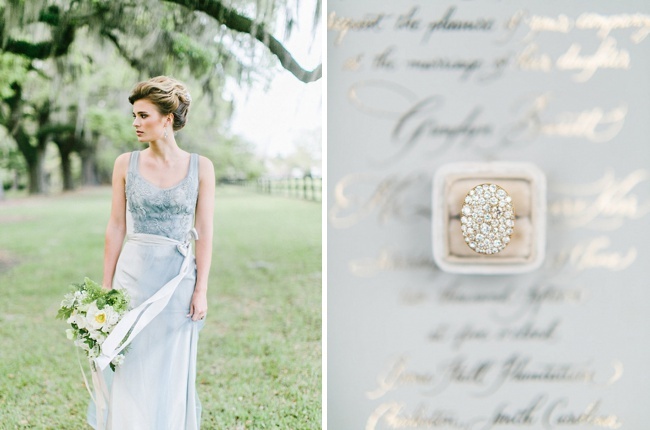 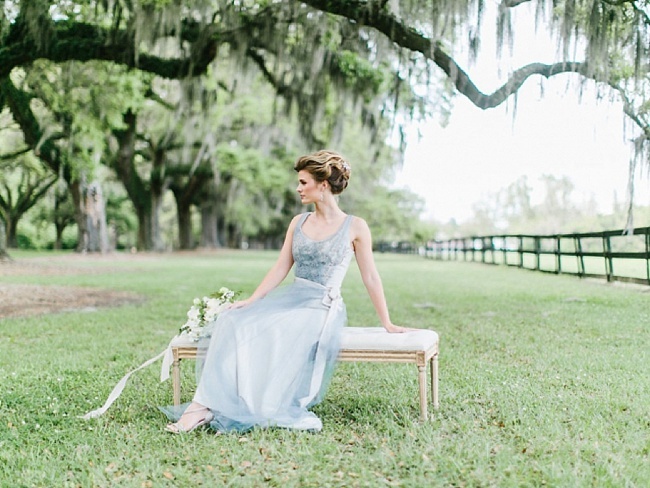 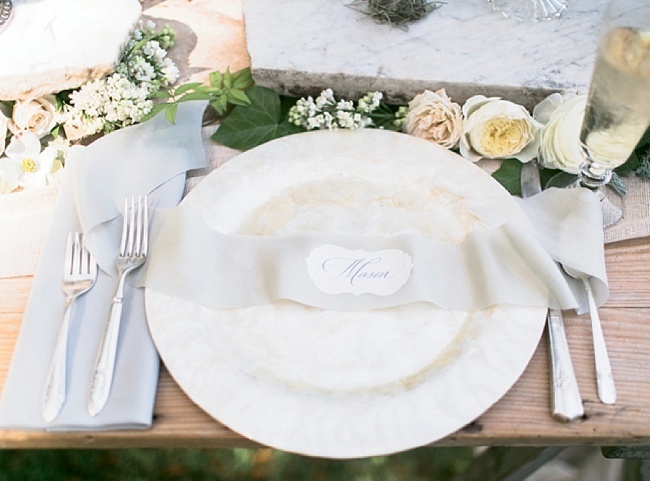 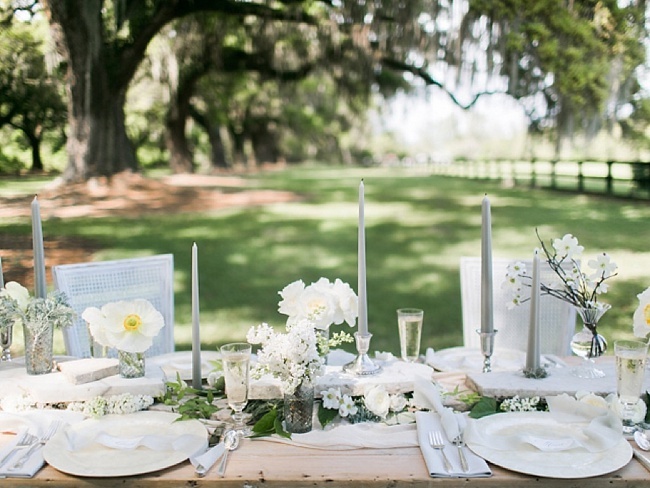 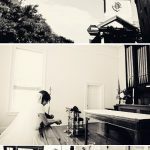 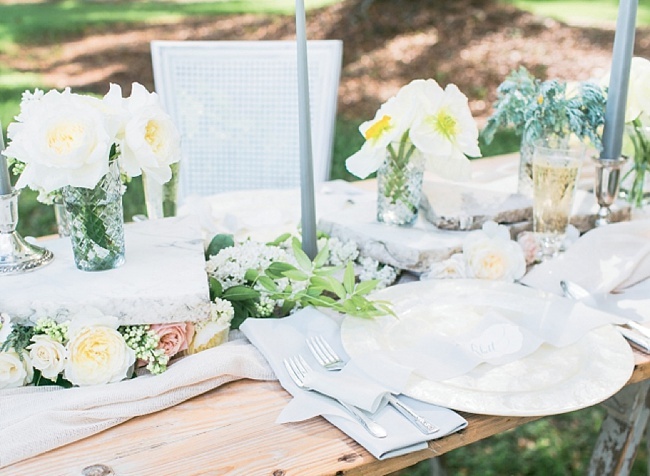 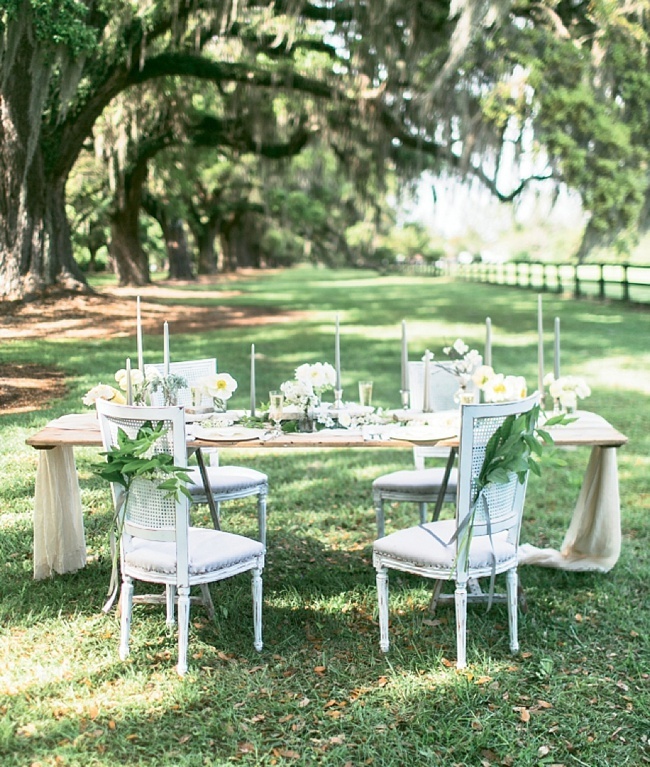 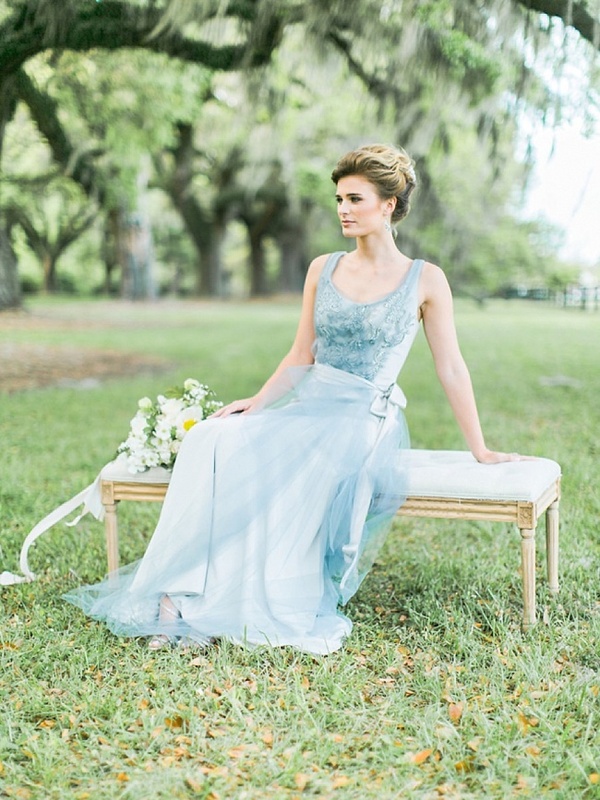 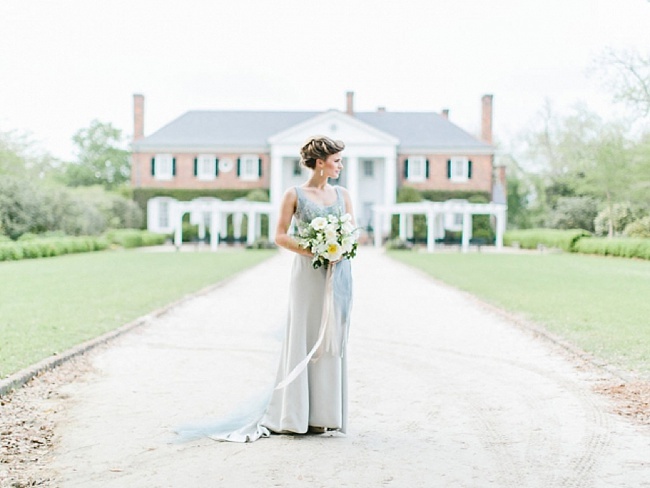 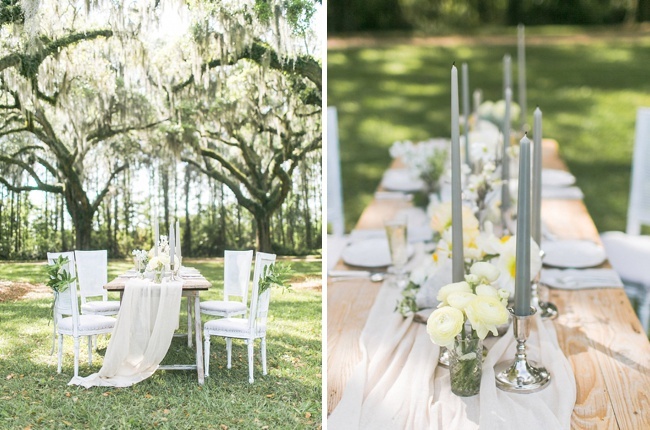 We’re kicking off the series with this ethereal inspiration shoot styled by Events by Reagan at the famed Boone Hall Plantation. 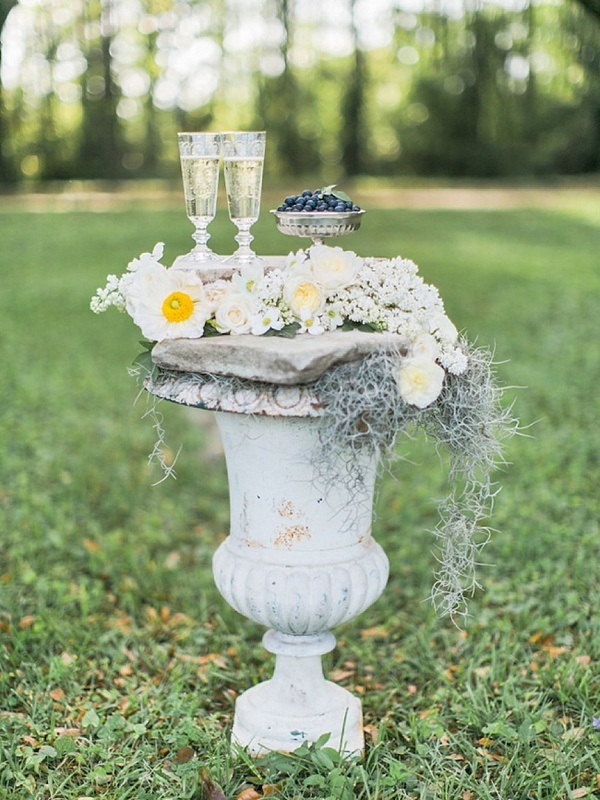 When we first laid eyes on this stunner with its cool blue and gray hues and inventive space-saving stackable marble table runner (ummm yes, please! 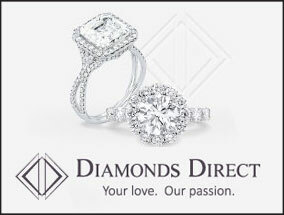 ), we knew it was one that just had to be shared. 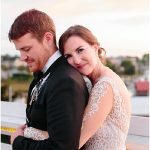 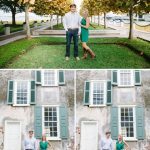 It’s overflowing with tips and tricks on how to make your wedding day unique and oh-so stylish. 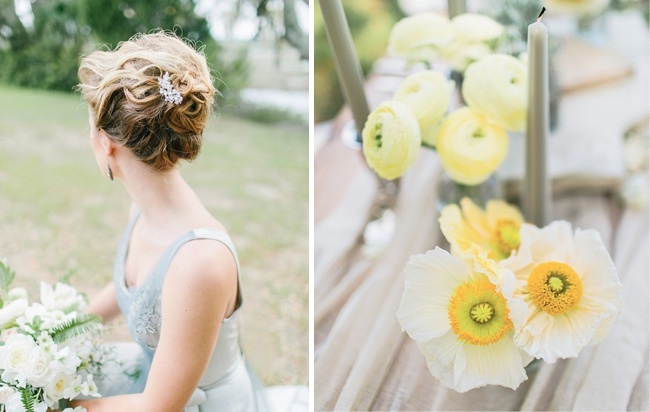 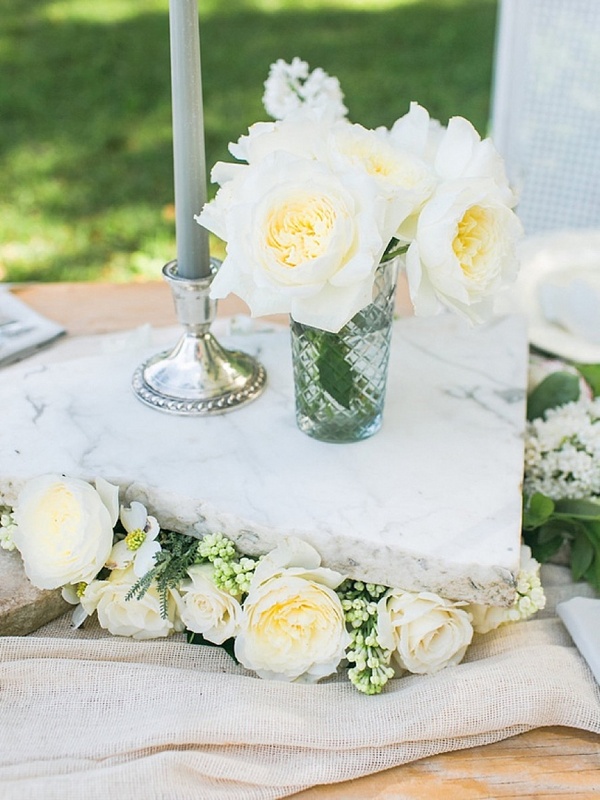 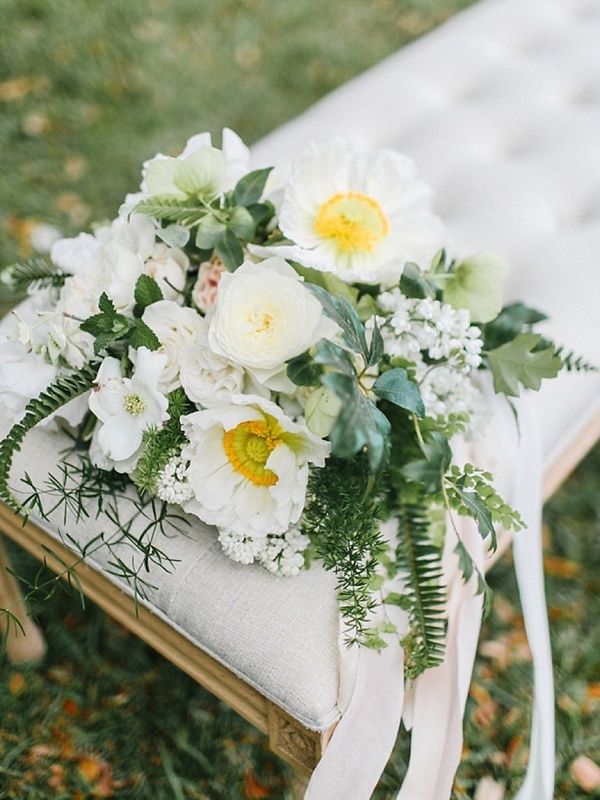 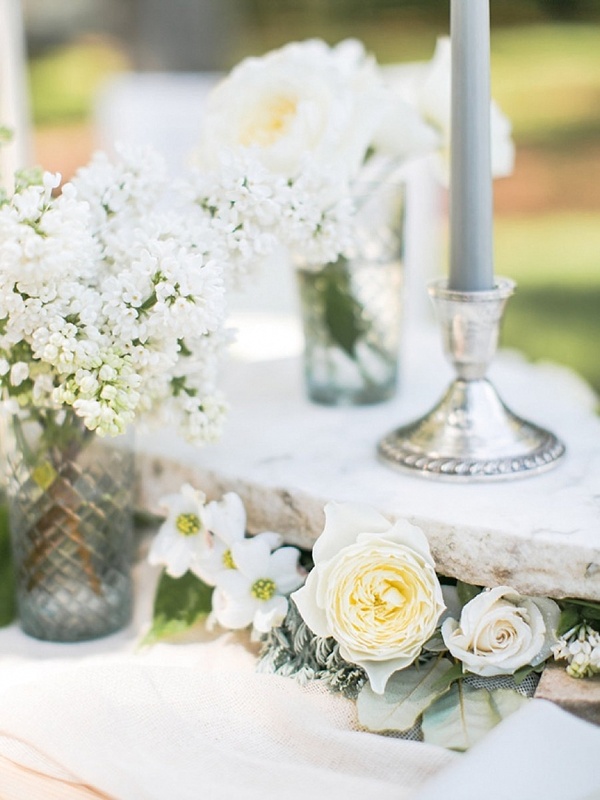 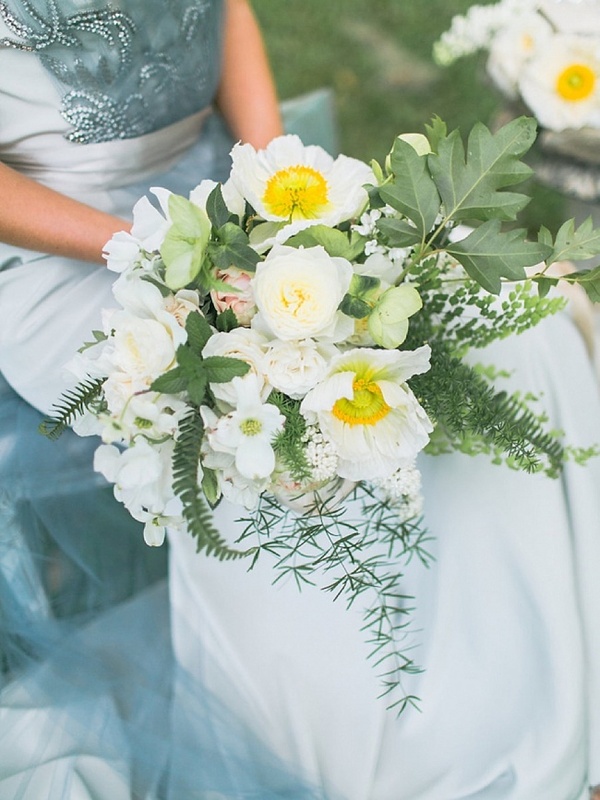 Cheerful daffodil-like yellow poppies, emerald-hued ferns, and demure green hellebores artfully placed by Anne Dabney of Charleston Stems amp up the color factor, while a homestyle iced cake helps offset the more refined look of the silver and crystal—all details that we hope you’ll soak up in spades. 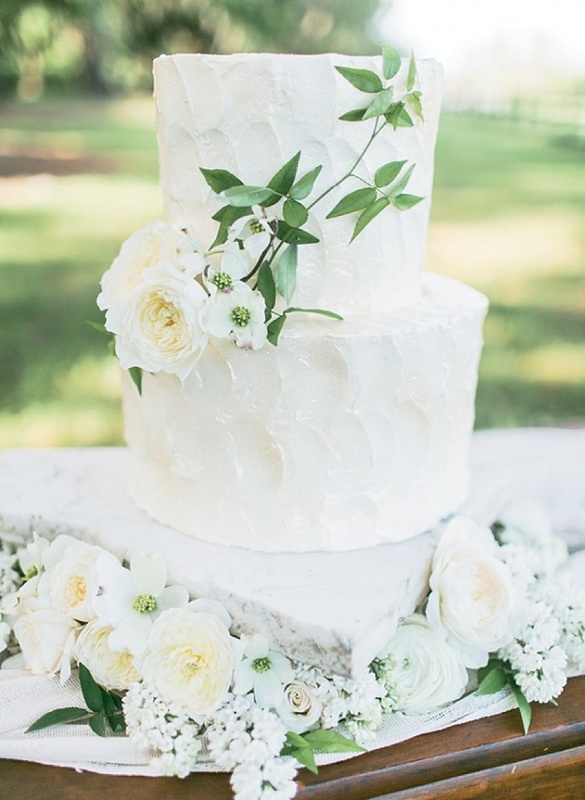 Enjoy this extra slice of lovely!